Autumn is the most beautiful season of the year, because of the beautiful color-changing trees. 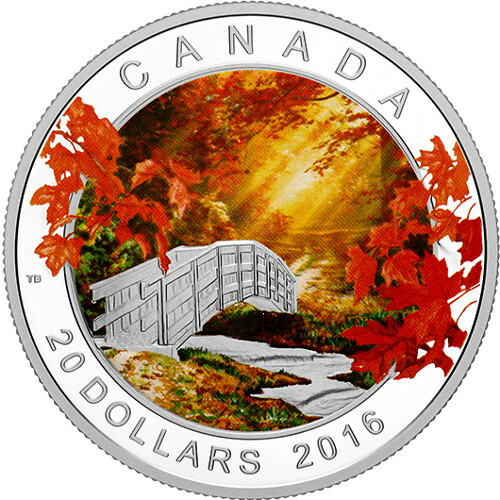 A new coin from the Royal Canadian Mint perfectly captures this unique beauty. 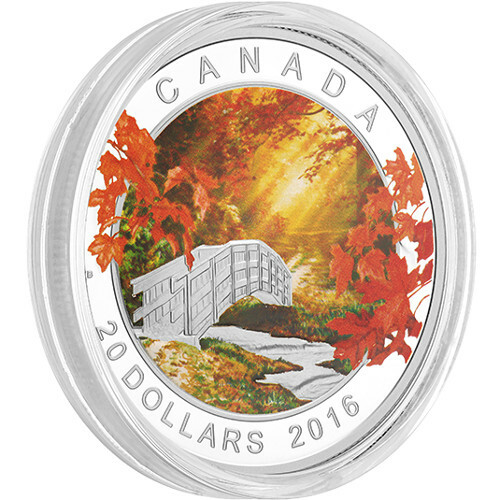 The 2016 1 oz Proof Silver Canadian Autumn Tranquility Coins are now available at Silver.com. Arrives the classic RCM maroon clamshell. Mintage limited to 6,000 coins only! 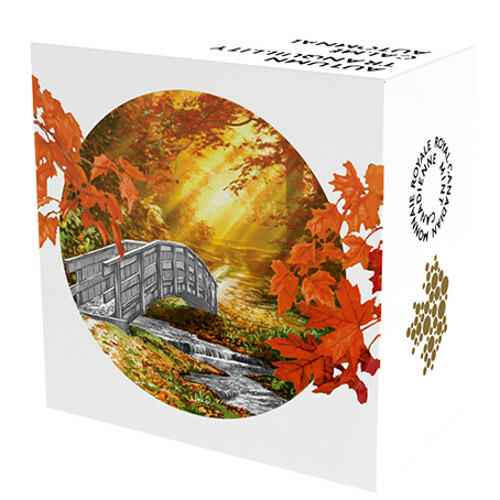 Fourth release in the Canadian Autumn series. Obverse features the effigy of Queen Elizabeth II. Reverse features a beautiful colorized autumn day. 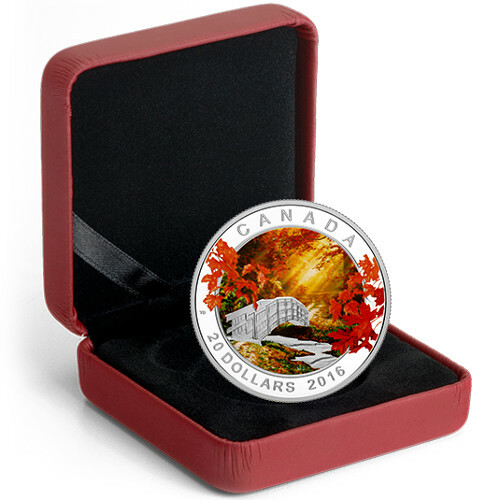 The 2016 1 oz Proof Silver Canadian Autumn Tranquility Coins feature a dazzling colorized image of a quiet and peaceful autumn day in a wooded area. You can even see the sun shining through the trees. The reverse design was created by Tony Bianco. He created a design that gives the impression of great depth, because the foreground is surrounded by leaves that appear to jump off the coin’s surface. A bridge connects lands on both sides of a small stream and the sun is shining through the leaves of the trees in the background. The bridge and stream are not part of the colorized design, which makes them stand out on the coin. 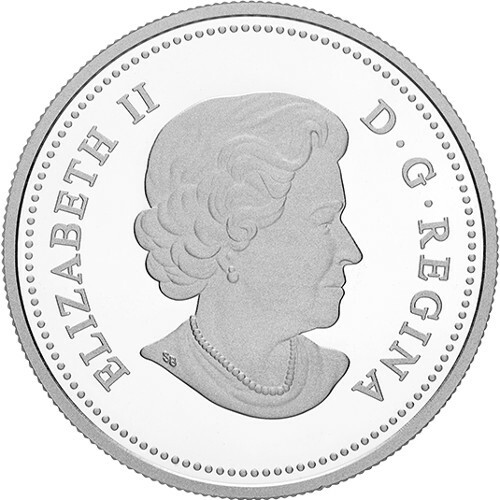 The obverse of all Canadian coins feature the image of Queen Elizabeth II. This coin features a right-profile portrait of the Queen designed by Susanna Blunt, a Canadian artist, in 2003. Each of these coins will come in a capsule with the classic maroon clamshell that the Royal Canadian Mint is known for. This packaging will help protect the coin. These coins will also come in themed boxes that give a larger view of the reverse design. The Royal Canadian Mint makes all the currency in Canada and is considered one of the world’s foremost producers of gold and silver products. The mint was founded in 1908 in Ottawa, and a second facility opened in Winnipeg in the 1980s.